The question on everyone's mind throughout the project is, Will this project be successful? However, different stakeholders will have different views of success. For the project team members, it may be gaining valuable experience and feeling that their work will have a positive impact on the organization. For the project manager, it may be leading a project that will be profitable to the firm or a promotion to a larger and more visible project. On the other hand, the client or sponsor may view project success in terms of organizational value received after the project is implemented. Therefore, four types of project evaluations should be conducted. There should be (1) an individual review of each team member's performance, (2) a postmortem review by the project manager and project team, (3) an audit of the project by an objective and respected outside party, and (4) an evaluation sometime after the project is implemented to determine whether the project achieved its envisioned MOV. • Begin with the individual evaluating his/her performance. Evaluating someone's performance can be an emotional experience. Even with the best intentions, being critical of someone can put her or him on the defensive. Instead of beginning an evaluation with a critique of the individual's performance, it is usually more effective to begin by asking how that person would evaluate her or his performance. Surprisingly, most people are more critical of themselves. This opening provides an opportunity for the person doing the evaluation either to agree or to disagree with the individual's self-evaluation and to point out several positive aspects of the person's performance. This system creates a useful dialog that provides the individual with more useful feedback. • Avoid "why can'tyou be more like ?" It is easy to compare individuals. Unfortunately, comparisons can have a counter effect. First, the person that you exalt may not be the shining star you think they are. Second, oth ers may become jealous and look for ways to discredit or disparage the individual. Keep in mind that people are different and should be evalu ated as individuals. • Focus on specific behaviors, not the individual. When discussing opportu nities for improvement with a person, it is important to focus on specific behaviors. For example, if a project team member has a habit of consis tently showing up late and disrupting team meetings, it is important not to focus on the individual (i.e., why are you so lazy and disrespectful? ), but on how showing up late to team meetings is disruptive. Often people do not realize how their behaviors affect others. • Be consistent and fair. Being consistent and fair to everyone is easier said than done. The person conducting the evaluation should be aware of how decisions concerning one person may affect the entire group. Also, be aware that people talk to one another and often compare notes. Therefore, making a decision concerning one person may set a precedent for others. Having policies and procedures in place and sticking to them can mitigate the potential for inconsistency and the perception that that the evaluator is not fair with everyone. • Reviews should provide a consensus on improving performance. The pur pose of conducting a review or evaluation with each project team member is to provide constructive feedback for individuals. No one is perfect, so understanding where an individual can improve and how they might go about improving is important. The individual and the evaluator should agree on what areas the individual needs to improve upon and how the organization can support this endeavor. For example, the individual and the evaluator may agree that the team member should improve his or her com munication skills. The evaluator may then recommend and provide support for the person to attend a particular training class. The meeting can serve to help prepare the individual to move on and accept the psychological fact that the project will end (Gray and Larson 2000). And, in most cases, the project manager could use this meeting to discuss the project team member's next assignment. • Review the initial project's MOV. Was the project's MOV clearly defined and agreed upon? Did it change over the course of the project? What is the probability that it will be achieved? • Review the project scope, schedule, budget, and quality objectives. How well was the scope defined? Did it change? How effective were the scope management processes? How close were the project schedule and budget estimates to the actual deadline and cost of the project? Were the quality objectives met? How well did the quality management processes and stan dards support the project processes? 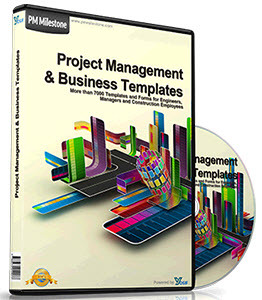 • Review each of the project deliverables. How effective were the business case, the project charter, the project plan, and so forth? How could these deliverables be improved? • How well did the project team perform? Were conflicts handled effectively? Did the team suffer any morale problems? What main challenges did the team face? How well did they handle these challenges? How well did the members function as a cohesive team? The discussion and recommendations from the postmortem review should be documented. In particular, the project manager and team should identify what they did right and what they could have done better. These lessons learned should be documented so that they can be shared with others in the organization. Moreover, best practices should be identified and become part of the organization's IT project methodology. The individual performance and postmortem reviews provide an important view of the internal workings of the project. In general, these reviews are conducted between the project manager and the project team. To provide a more objective view of the project, an audit or review by an outside party may be beneficial for uncovering problems, issues, or opportunities for improvement. Similar to the postmortem review, the auditor or audit team should focus on how well the project was managed and executed. This may include the project plans and Project Management Body of Knowledge areas described in the previous section, as well as the underlying project management and systems development processes outlined in the organization's IT project methodology. In addition, the auditor or audit team should assess whether the project manager and team acted in a professional and ethical manner. • Have no direct involvement or interest in project. • Be respected and viewed as impartial and fair. • Present no fear of recrimination from special interests. • Act in the organization's best interest. • Have broad base of project and/or industry experience. The findings or results of the project audit should be documented, as well as any lessons learned and best practices. The MOV, or measurable organization value, was defined at the beginning of the project. It provided the basis for taking on the project and supported many of the decision points throughout the project life cycle. Often, the MOV cannot be readily determined at the close of the project. Many of the benefits envisioned by the implemented system may require weeks or even months before they are realized. • Did the project achieve its MOV? • Was the sponsor/customer satisfied? • Was the project managed well? 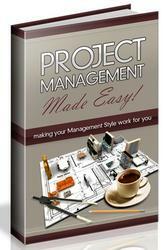 • Did the project manager and team act in a professional and ethical manner? • What can be done better next time? Before conducting this evaluation, the consulting firm or individuals representing the project should be sure that the information system delivered has not been changed. Often when an information system is handed over to the project sponsor, the users or support staff may make changes. It is not uncommon for these changes to have unintended adverse affects. Care should be taken to ensure that the system being evaluated is the system that was delivered (Nicholas 1990). The evaluation of the project's MOV may be intimidating—it can be the moment of truth as to whether the project was really a success. However, a successful IT project that brings measurable value to an organization provides a foundation for organizational success. Did the project achieve its MOV?